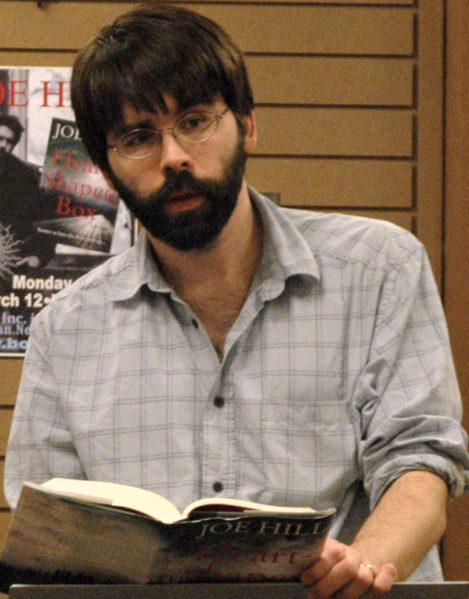 Joe Hill’s weird and fascinating stories started appearing in literary journals around 2001 when he quickly found a following among aficionados of the horror/fantasy genre. 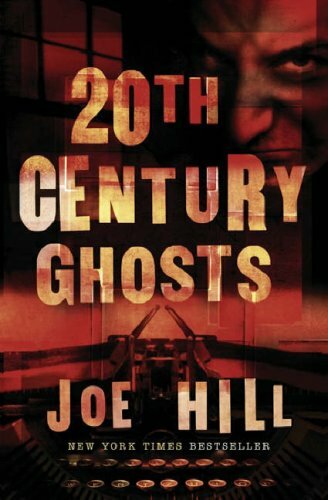 In 2005 he released 20th Century Ghosts, his first and only collection of short fiction thus far. Two years later he published a novel, Heart Shaped Box, about an aging rock-star who buys a ghost on e-bay. 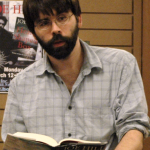 I conjure up Hill’s early career to insist that he’d established a strong voice in the horror/fantasy genre long before the news broke that he’s got a famous father: the one and only Stephen King. In fact, Hill intentionally obscured his given name (Joseph Hillstrom King) in order to avoid the long shadow cast by his father’s startling and prodigious writing career. 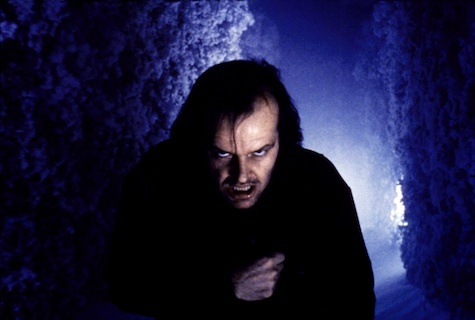 Writing aside, it couldn’t have been easy being the son to whom The Shining was dedicated. I imagine Hill endured a few too many dinner-party conversations about whether King had ever chased him through a hedge maze or chopped through his door with a croquet mallet, and eventually decided to light out on his own. But the name-obfuscation may have been unnecessary—Hill’s writing separates itself well enough. It’s difficult to convey how deliciously strange these stories can be without placing the book in your hands. His best piece, “Pop Art,” is a heartfelt recollection of a long-lost childhood friend named Arthur Roth, a young man unique for many reasons, least among them being the fact that he is inflatable. Importantly he is also deflatable, but in any case he’s plastic and filled with air. Arthur can’t speak, really, but he can write messages on a pad hung from his neck, so all his “dialogue” in the story appears as text scrawled in crayon (the narrator stresses that any writing utensil with a sharper point could mean curtains for his poor bullied friend). From this bizarre premise Hill builds a story about the fragility of the artistic temperament as it develops during childhood, the transience of adolescent male friendship, and the powerful impact early experiences of loss have on one’s adult identity. But this is October, after all, and I can’t leave this book without recommending one of its bloodier stories. The best of the shockers also opens the collection: a story entitled “Best New Horror.” In it we encounter Eddie Carroll, editor of a yearly horror-story compilation who’s lost the thrill of his job. “He tried to struggle through Lovecraft pastiches,” Hill writes of Carroll “but at the first painfully serious reference to the Elder Gods, he felt some important part of him going numb inside, the way a foot or a hand will go to sleep when the circulation is cut off. He feared the part of him being numbed was his soul.” But when Carroll receives a disturbing manuscript entitled “Buttonboy: A Love Story,” written by a university groundskeeper Peter Kilrue, he’s re-energized about the possibilities of the genre, and becomes obsessively compelled to meet this strange man and publish his story. From there Hill takes the reader on an insider’s tour of the horror/fantasy publishing world, a place full of fascinating and largely unsavory characters. The story would fail utterly if it weren’t for the affection Carroll (and Hill) maintains for the genre. “Best New Horror’s” many criticisms emerge from a place of hope about genre writing, and it’s a hope visible despite Hill’s grim commentary on the authors of such fiction. “Best New Horror” is profoundly disturbing from start to finish, and represents the moral nadir of a collection that finds its zenith in “Pop Art,” only the third story in the collection. Perhaps because of its powerful opening, the middle pieces in 20th Century Ghosts sag a bit, but luckily Hill closes the collection with a strong novella entitled “A Voluntary Committal,” again about a strained and fantasy-saturated adolescent relationship. Hill writes at his best when he channels the intermingled innocence and terror that colors the childhood perspective, an acute vantage point he very likely developed while living under the same roof as his famous father. I won’t spend too much time speculating on how far the apple falls from the King except to say that Hill very often exceeds even his father’s best works in thematic depth and philosophical adventurousness, and for those reasons alone he makes for great campfire reading in October. Corey Waite Arnold is a writer and intern on the Communication and Service Promotion team. He is currently pursuing an MA in English at Villanova University.